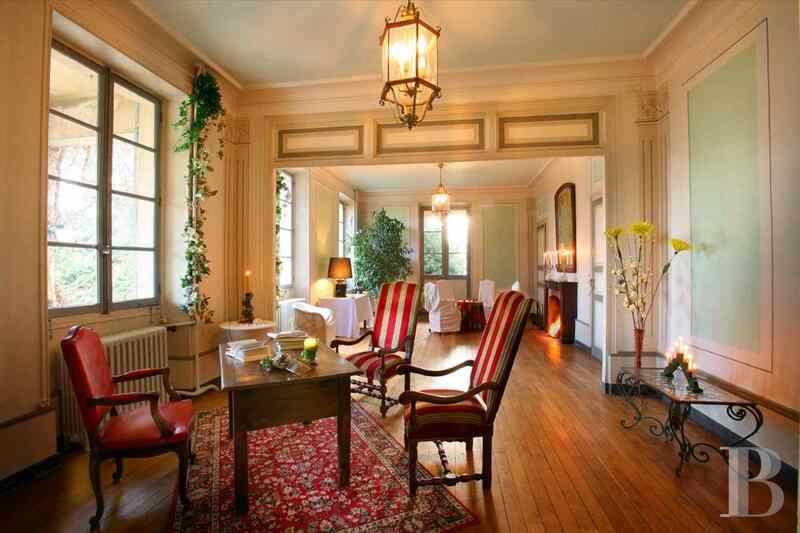 An 18th century chateau, surrounded by a 5 ha vineyard, and its outbuildings in the midst of the Chambéry Valley in Savoy - chateaux for sale France - in Provence, Languedoc-Roussillon, Côte d'Azur, Upper-Savoie - Patrice Besse Castles and Mansions of France is a Paris based real-estate agency specialised in the sale of Castles / chateaux. 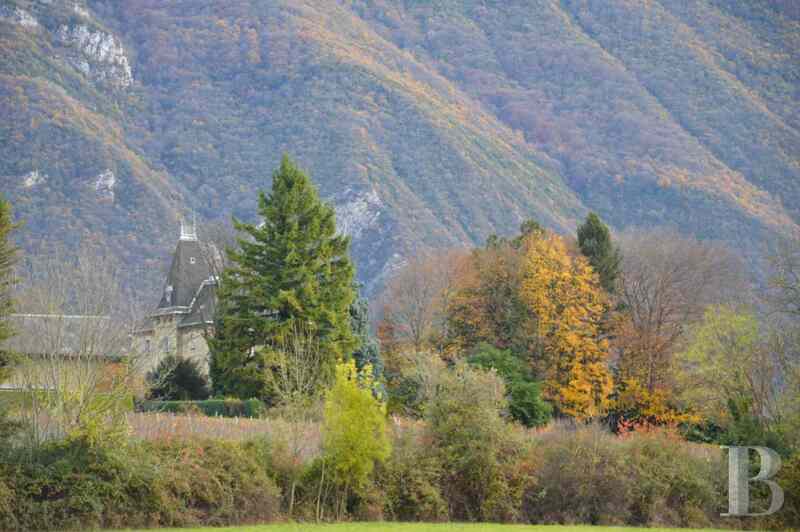 In the Rhône-Alpes region, in the valley linking the Savoy and Dauphiné provinces, between the Bauges mountain regional nature park and the Chartreuse regional nature park. 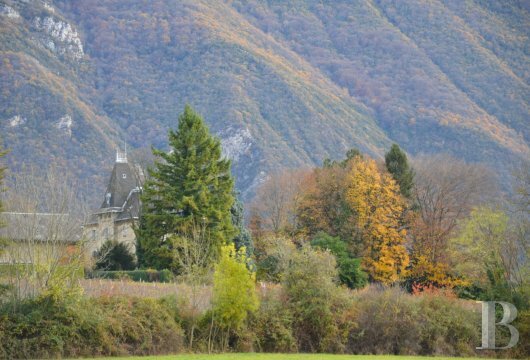 Just a stone’s throw from Chambéry, a town of art and history, the region is dotted with attractive, authentic villages. This property, set on the outskirts of Savoy’s vineyards, stands on the south side of Chambéry Valley, a site not to be missed when exploring the Savoy vineyards and its vine-growing villages. The region is also renowned for its stretches of water such as Bourget Lake and Lake Aiguebelette with its emerald green water. 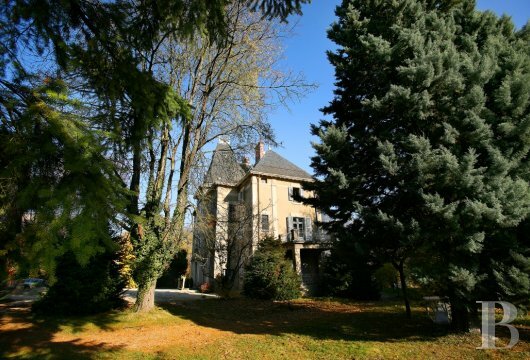 20 minutes from Chambéry, 60 minutes from Geneva, 40 minutes from Grenoble and 75 minutes from Lyon’s St-Exupéry airport. 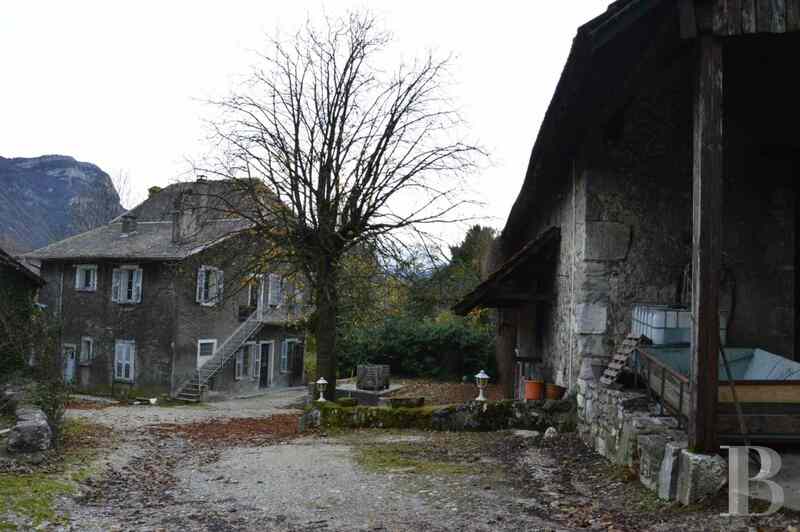 Between Savoy’s lakes and mountains, surrounded by two regional nature parks, this property extends over a little more than 6 ha in a welcoming setting. The chateau, spanning approx. 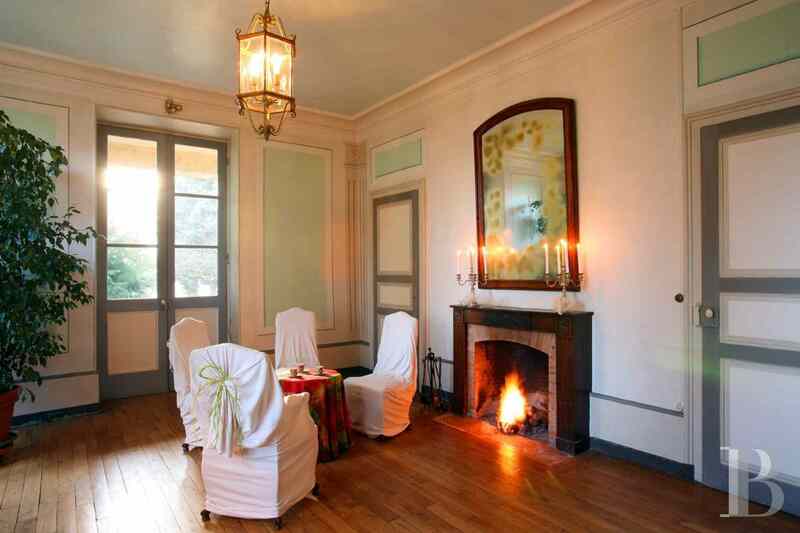 800 m² of living space, is accompanied by a first-class, local house spanning approx. 140 m², a wine cellar spanning approx. 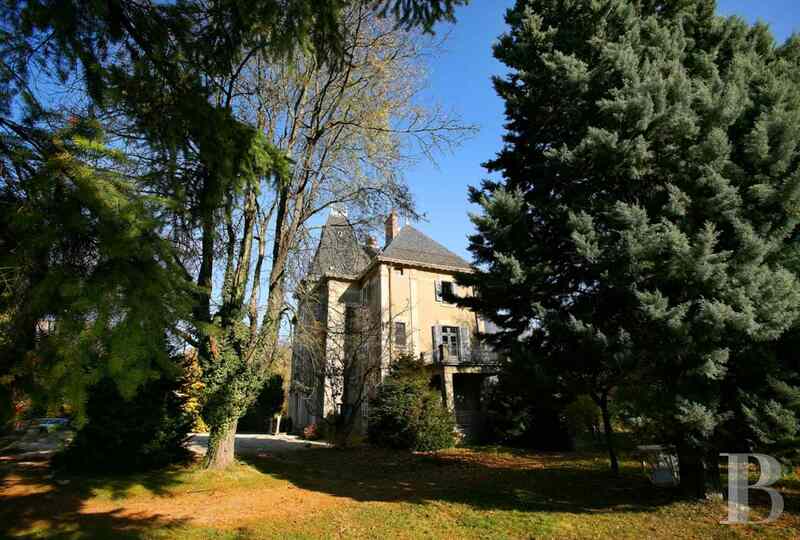 800 m², a small square tower, spanning 40 m², and its vineyard. 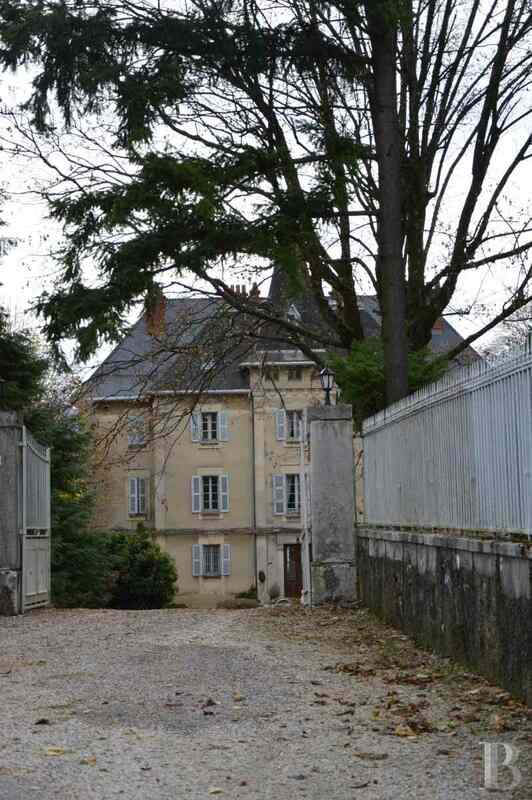 Wrought iron gates, flanked by stone pillars, open on to a driveway leading to the chateau. Built in the 18th century on 11th century foundations, it spans three levels of living space set out around a tower on the north facade. All the facades feature numerous symmetrically aligned openings. The steeply sloping roofs are covered with slate. 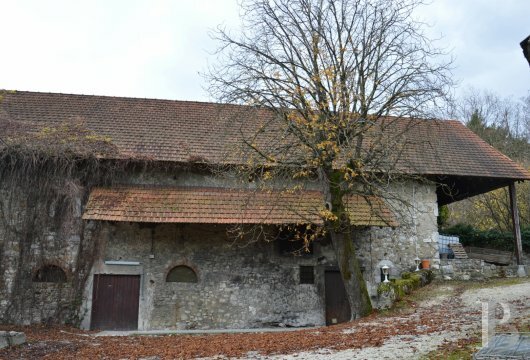 The south-facing facade, extended by a superb covered terrace, supported by a row of evenly spaced columns, provides a magnificent view of the Belledonne mountain range. 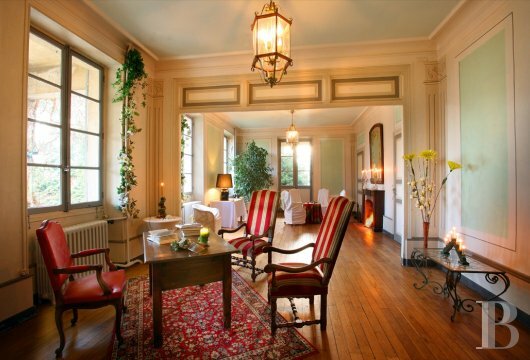 This chateau is in pristine condition inside as it was fully renovated in 2014. Double carriage doors in the centre of the facade open into a vestibule, the interior decoration of which is heavily marked by the 19th century. 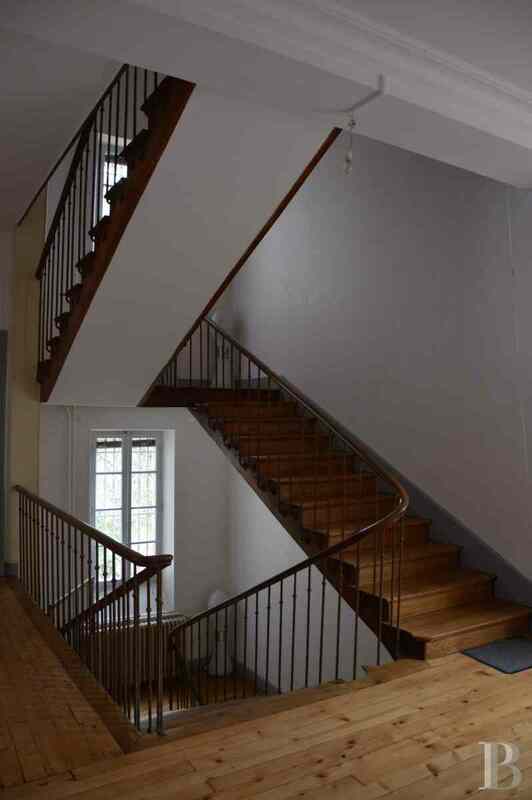 This vast, through hall houses a superb wooden stairway leading upstairs and provides access out to the back garden. It has cement floor tiles. A professional kitchen, facing the stairway, communicates with a pantry. 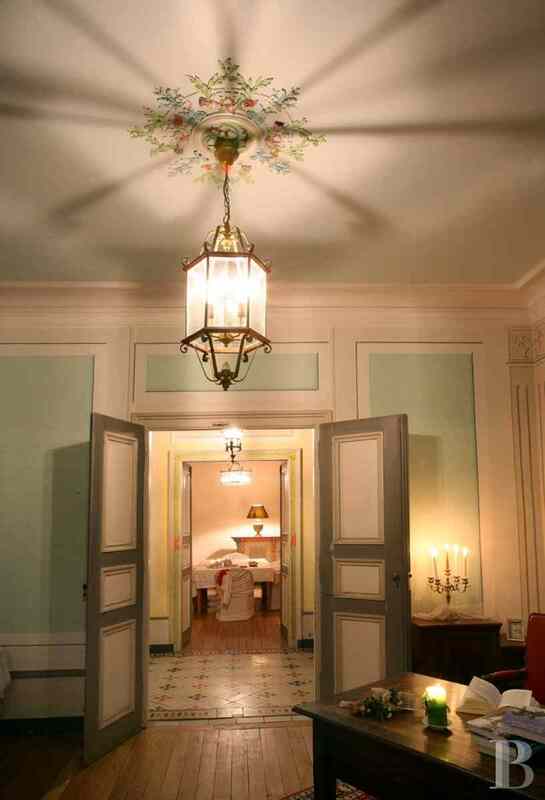 The vestibule provides access, on either side, to a dining room communicating with the pantry and a double lounge. These south-facing reception rooms, with parquet flooring, are heated via old fireplaces. 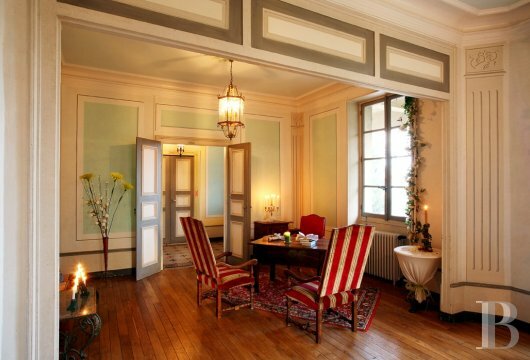 They are richly decorated with wall panelling and ceiling mouldings. The lounge opens via double doors on the west side on to a covered terrace. The vast first floor landing provides access to five bedrooms. Each has its own washing area with a minimum of a wash-hand basin in an alcove. The four biggest bedrooms face south. 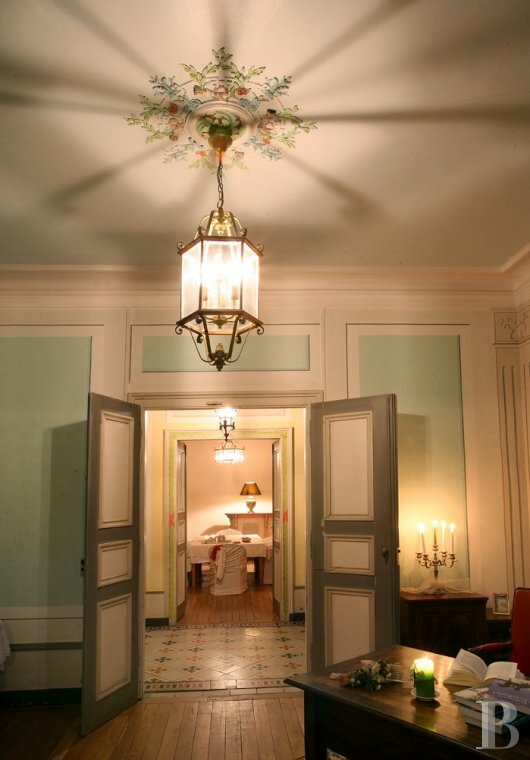 The master bedroom, laid out above the lounge, opens via double doors on to a west-facing terrace. This level has parquet flooring throughout. The large, majestic stairway continues up to the second level which has a very similar layout to that of the first floor. 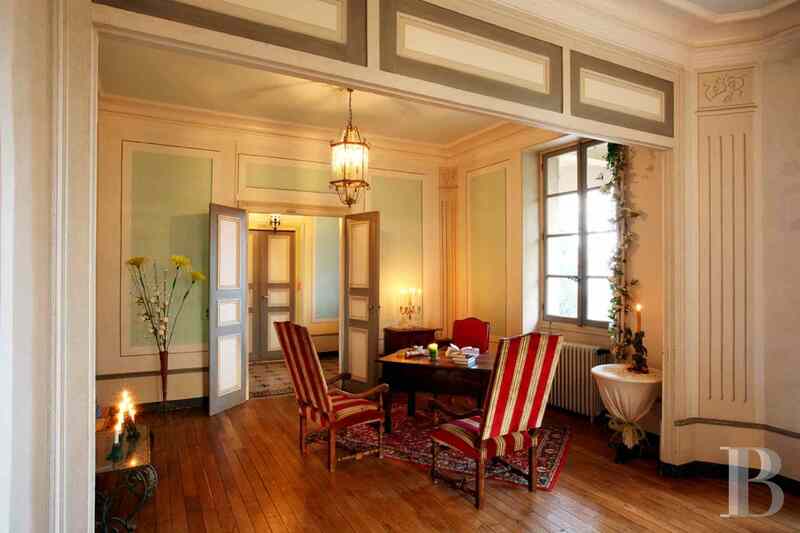 It too has parquet flooring throughout. A foldaway ladder provides access to the attic space. The roofing framework is in an excellent state of repair and the slate roof is new. This area could be converted. The cellars are reached on the inside via the vestibule. With their packed mud floors and their stone vaults, they remain at a constant temperature and are, therefore, ideal for laying down wine. The wine cellar spans approx. 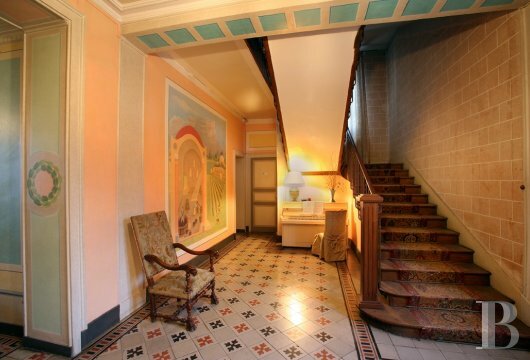 800 m² over two levels. The building, constructed from exposed stone, is topped with a steeply sloping gable roof. A wide wooden door is still engraved with the year 1786. 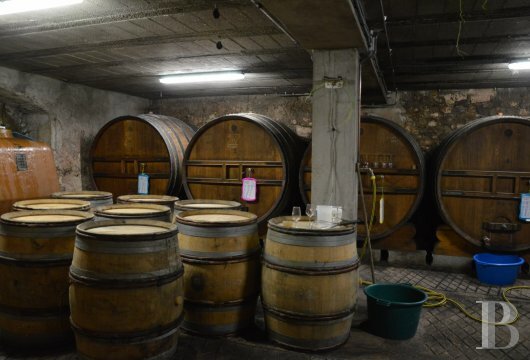 Each level can be directly reached from the outside, making manoeuvring easy for the wine activity. The barrels are stored on the ground floor whilst the first floor houses all the equipment necessary for running the business. 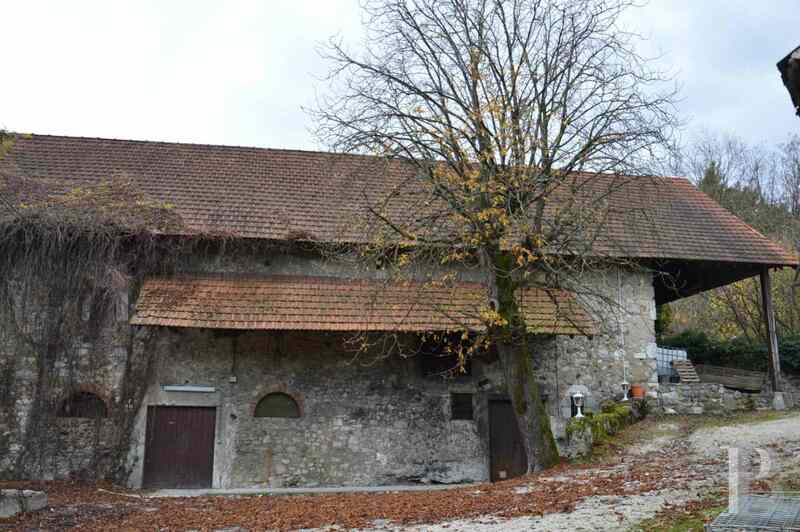 This dwelling, with a balcony on its facade, is a typical local Savoy house. It spans two levels, topped with a gable roof featuring hipped ends. A stone stairway leads up to the first level. 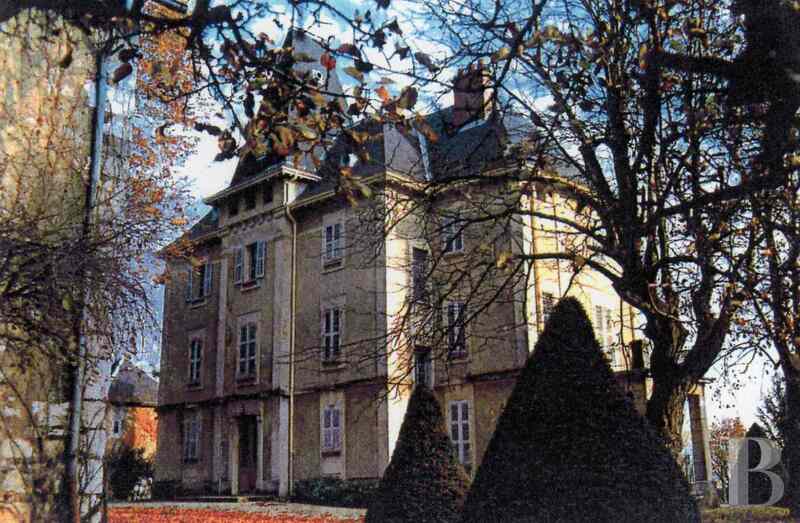 Very near to the house, on the east side of the chateau, is a small square tower, topped with a hip roof. It spans two levels, each spanning approx. 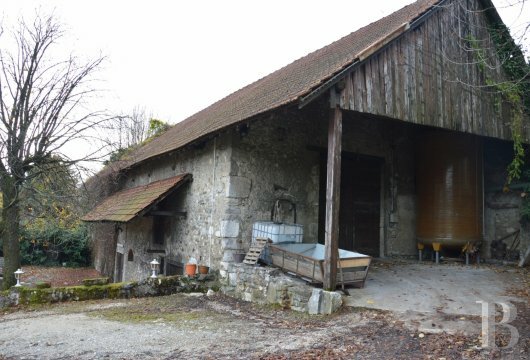 20 m². 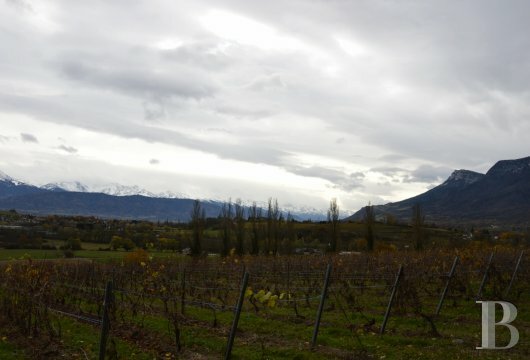 The vineyard is classified AOC (appellation d’origine controlee) “Vin de Savoie”. It comprises approx. 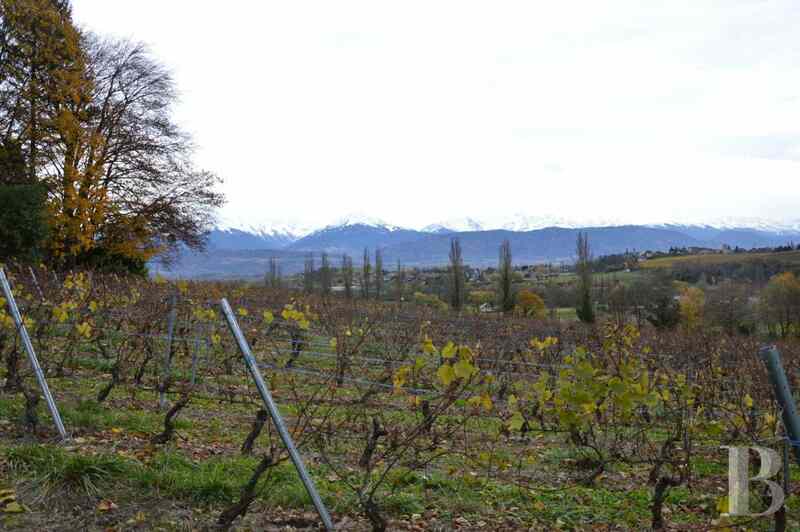 5 hectares planted with Roussette and Mondeuse wine stock. 3.56 ha are planted with AOP (appellation d’origine protégée) “St Jeoire en Mondeuse” which can be made into red or rosé wine. 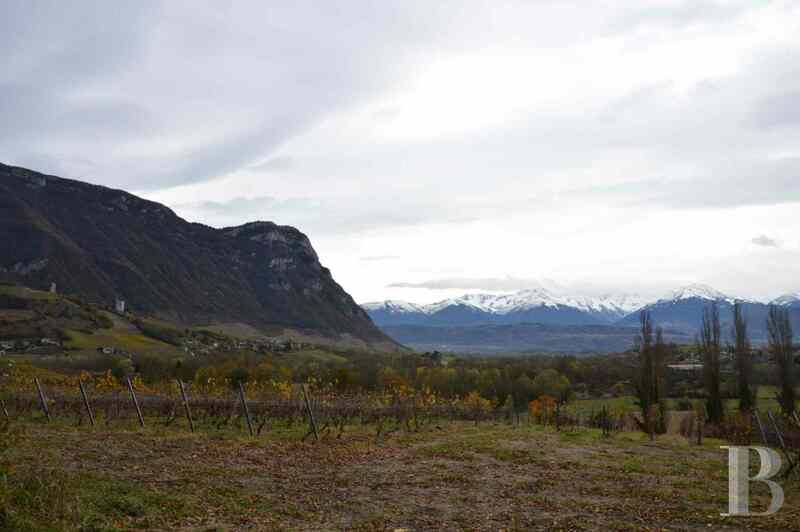 1.44 ha are planted with AOP “Roussette de Savoie”. The farming business also rents 1.30 ha, planted with AOP Mondeuse stock and 4.25 ha, planted with Apremont stock. The entire production is sold, predominantly overseas. 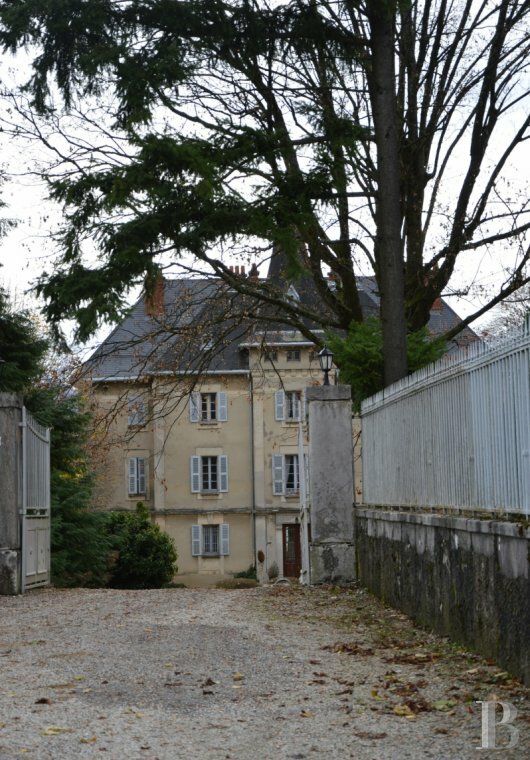 The open, functional estate, surrounding the chateau, still uses daily, time-honoured practises which give the wines, marked by their freshness, their minerality and their floral aromas. 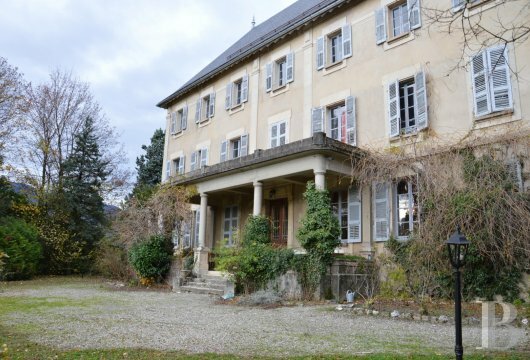 The buildings are in pristine condition and could still be extended courtesy of the section of the estate comprising 1.2 ha of building land. 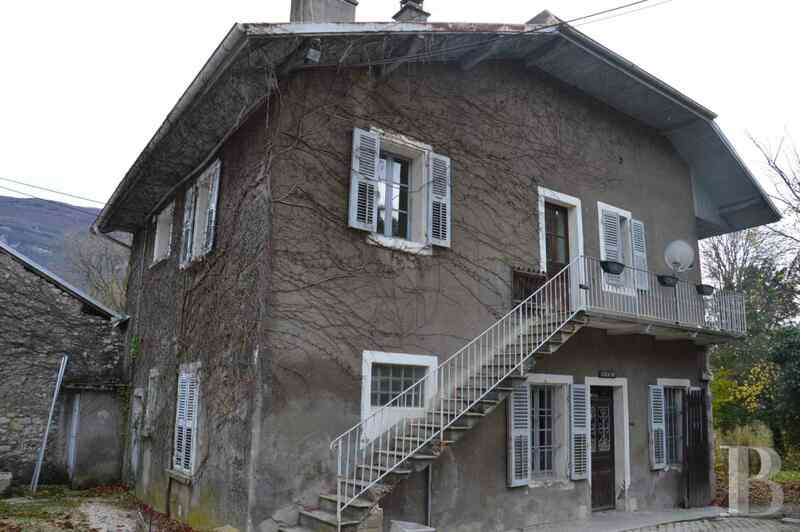 This property would be ideal for developing a project linked to wine tourism given its location in the midst of the other Savoy vineyards. But this property cannot just be considered from this point of view as it could also be defined as a family home provided that a wine specialist takes care of the business at the same time. More than big enough to accommodate several generations, it would enable a large family to settle comfortably in the region.